I’m going to come back for 2016! Got lots to share! Stay tuned! 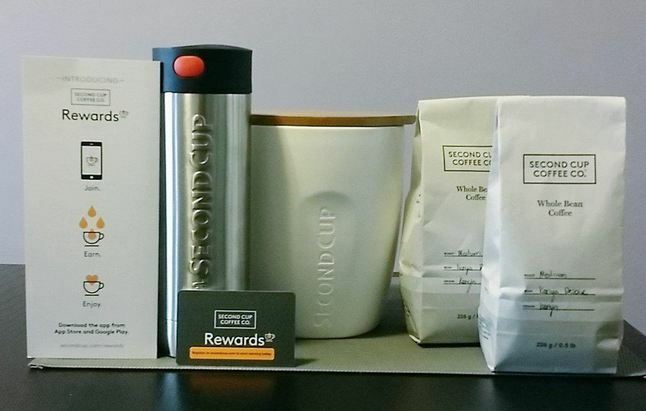 Upon opening the package, I was immediately hit with a lovely aromatic coffee scent (so good!) and a box full of goodies! The ceramic canister was a beauty. Love the shape of the tumbler and it is the perfect size (I hope it’s spill-proof!). The new coffee bean packaging was simple and professional. It speaks to me as if they were “the coffee connoisseurs” and did not require any fancy logo or design. I found the $50 gift card taped to the packaging of the canister. The overall branding was subtle and chic. I’m beginning to redevelop my relationship with Second Cup. Second Cup isn’t always my first choice. I would go into one for convenience. Most of the time, the other chains or local coffee shops are much more convenient. 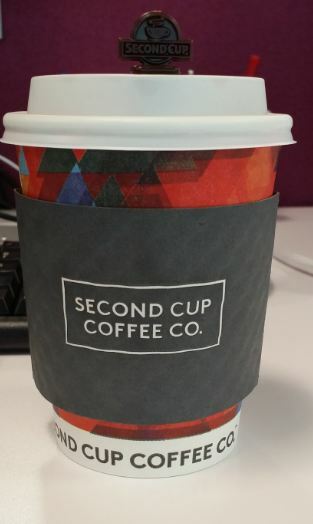 In my opinion, Second Cup had fairly decent coffee and served Italian Soda (one of my close girlfriends love it!). It didn’t appeal to me as much because of it’s lack of brand personality. To me Second Cup was “middle class”. Tim Hortons is on the lower end of the coffee chains, however, is an iconic Canadian brand. More affordable and always a decent cup. You get what you paid for. On the other end of the spectrum is Starbucks – the higher end of the coffee chains and is an iconic International brand. If I’m going to “cheap-out”, I will opt for a cup of Timmy’s and portray my ‘Oh! my native land’ persona. I felt like “balling”, I would purchase a Starbucks (a soy no-foam latte, please!?). To me, Second Cup was the unwanted middle child – with no personality and no relationship to me. However, their recent change with their branding peaked my interest. 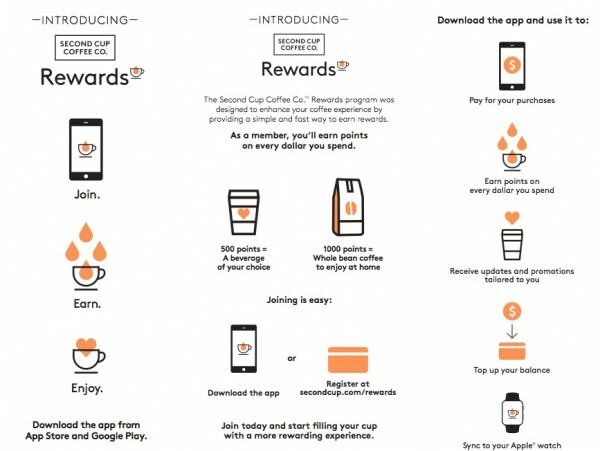 ** This was was not endorsed by Second Cup or by any marketing or PR company/firm. All is expressed in my own words and opinion. I took a breath and clicked. Volia! I finally created 3(Free)HereToThere. The first step to a part-time blogging career. Documenting my thoughts, day-to-day, and reviews (did I mention I am a skin care, food, contest-extraordinaire and travel junkie?). Maybe this is my passion. Maybe this is where I’m supposed to be. Let’s see where my next step lands.